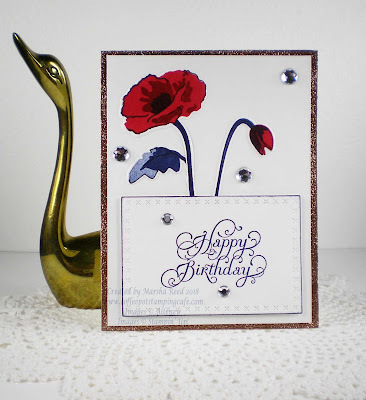 Coffee Pot Stamping Cafe: Happy Birthday! You know, sometimes when life throws me a curve, the best thing I can do is spend time in my craft room. Making cards is therapy for me and I always come away with a much better perspective. 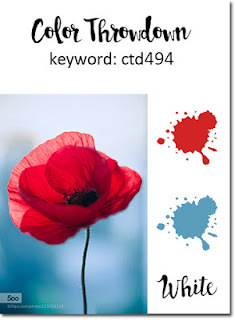 The result of my therapy is this pretty poppy card I made for the Color Throwdown Challenge. Today's card was made using the colors from the Color Throwdown Challenge. For all the challenge details and to share your project, click the image below. I so agree with you about stamping being great therapy! Lovely poppy design and so perfect for Memorial Day weekend! Thanks for joining us at Color Throwdown! Lovely poppy- hoping things are better! So happy you joined us at CTD!